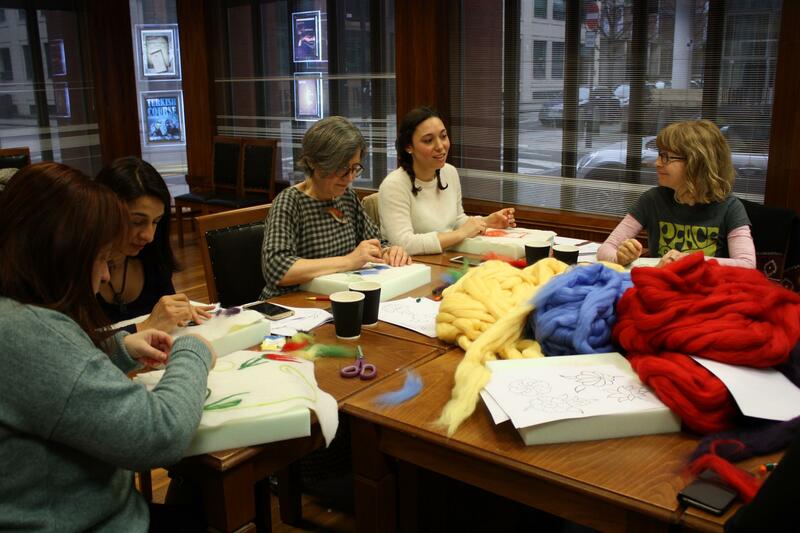 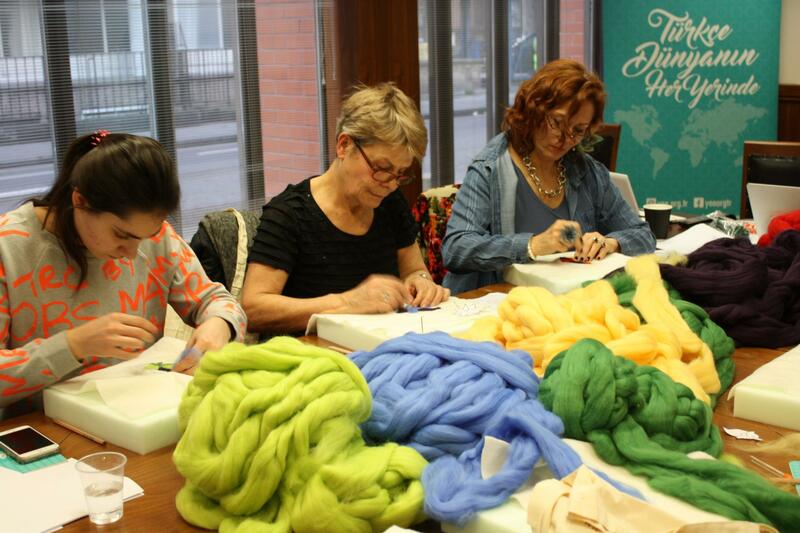 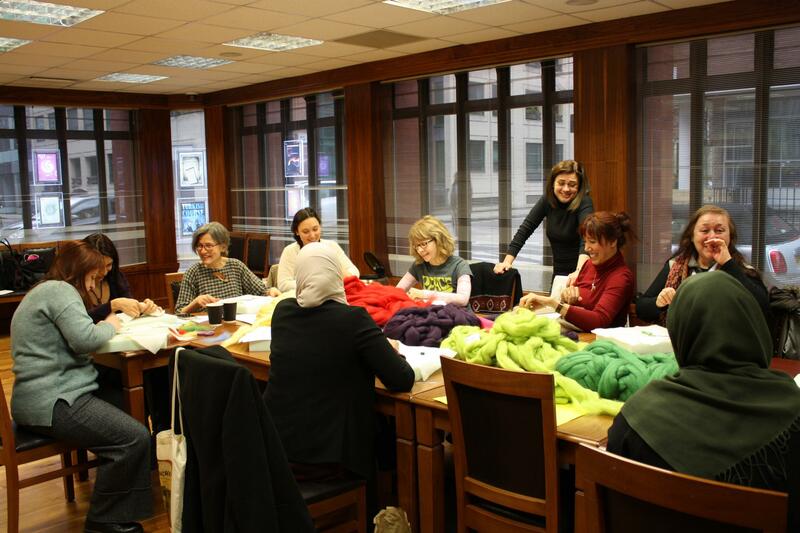 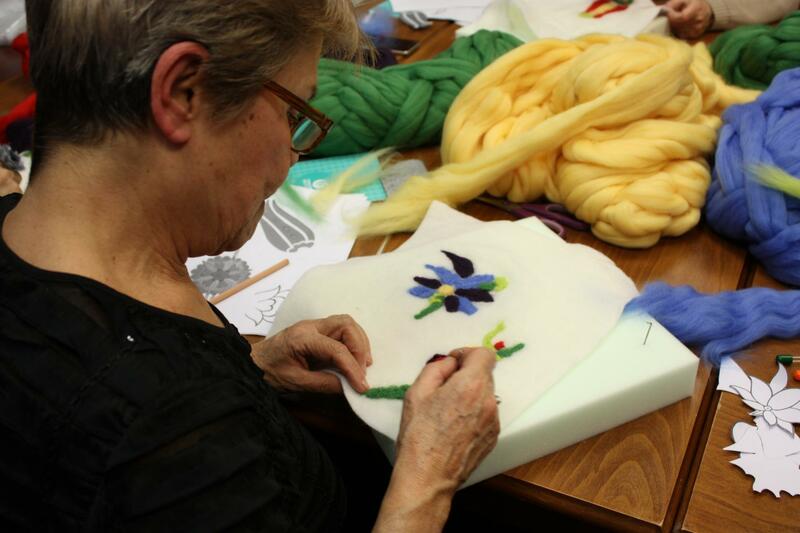 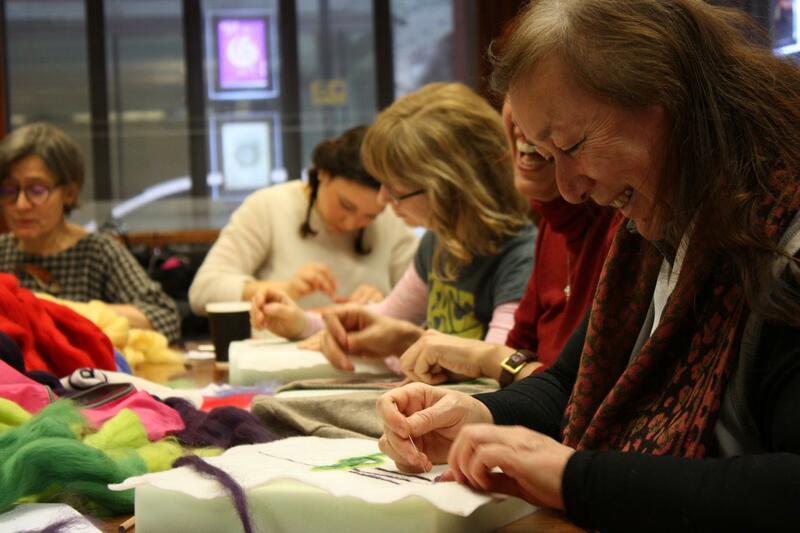 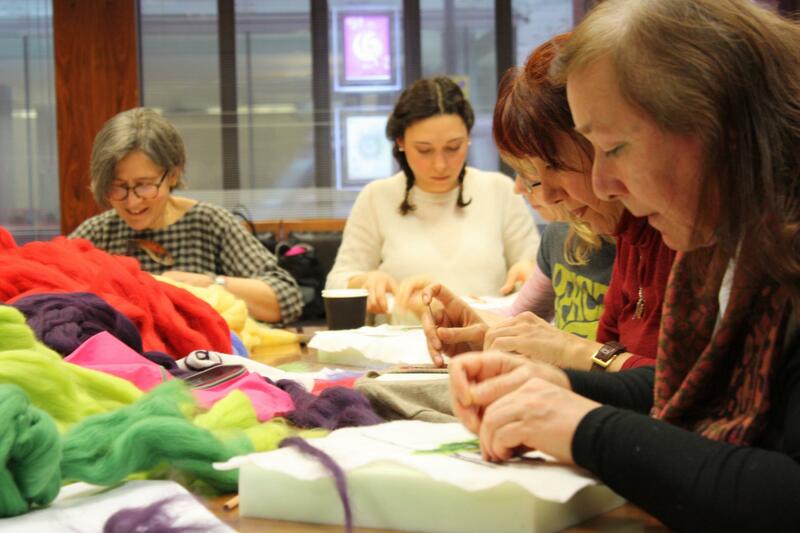 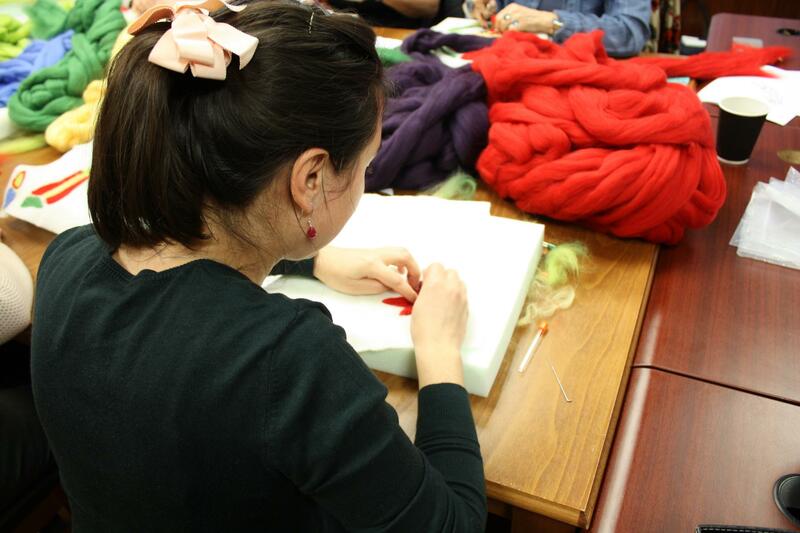 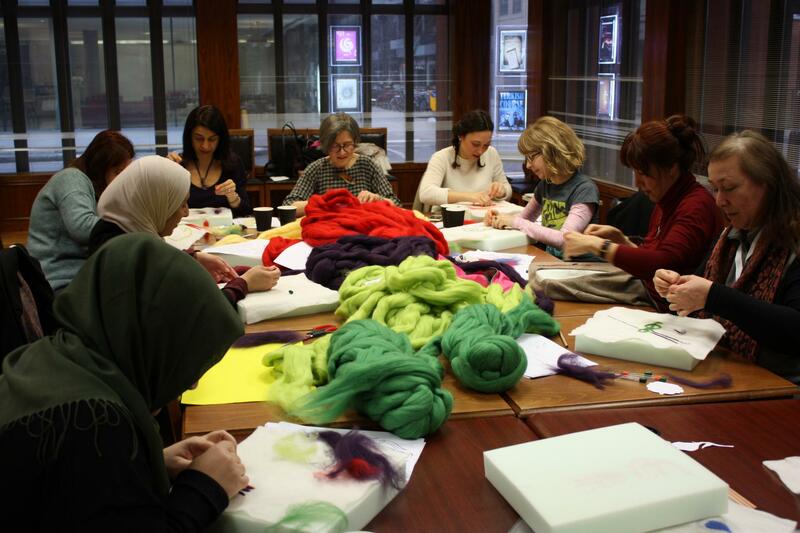 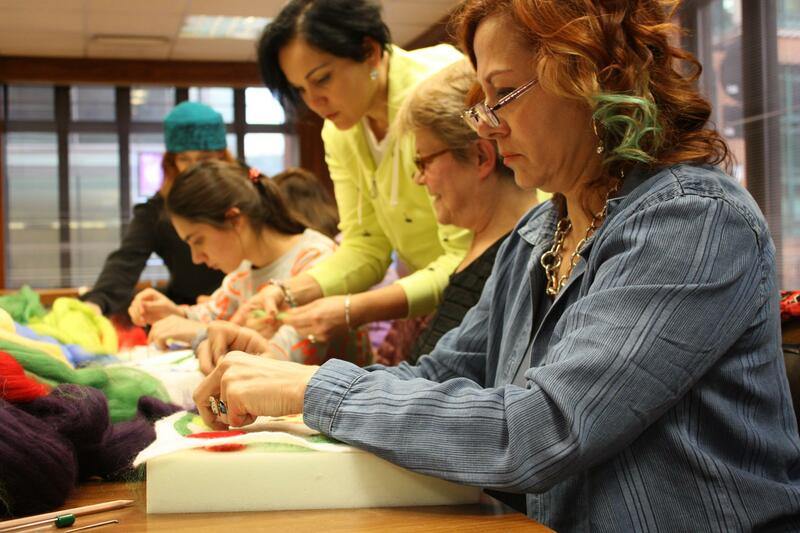 Yunus Emre Enstitusu London hosted two individual 4 hour Needle Felting workshops on the 16th and 17th March. 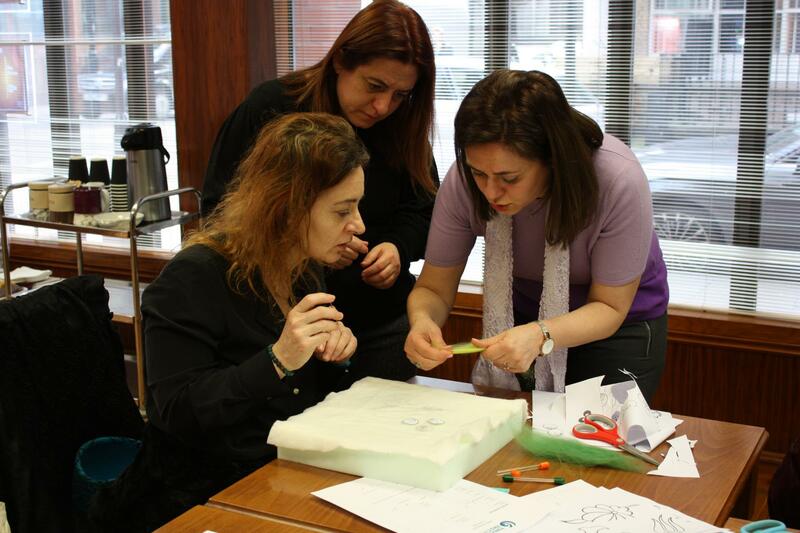 The workshop was conducted by Prof. Elvan Özkavruk Adanır and Dr. Jovita Sakalauskaite from İzmir Ekonomi Üniversitesi fine arts department as well as Berna İleri from the Mustafa Kemal Üniversitesi fine arts department. 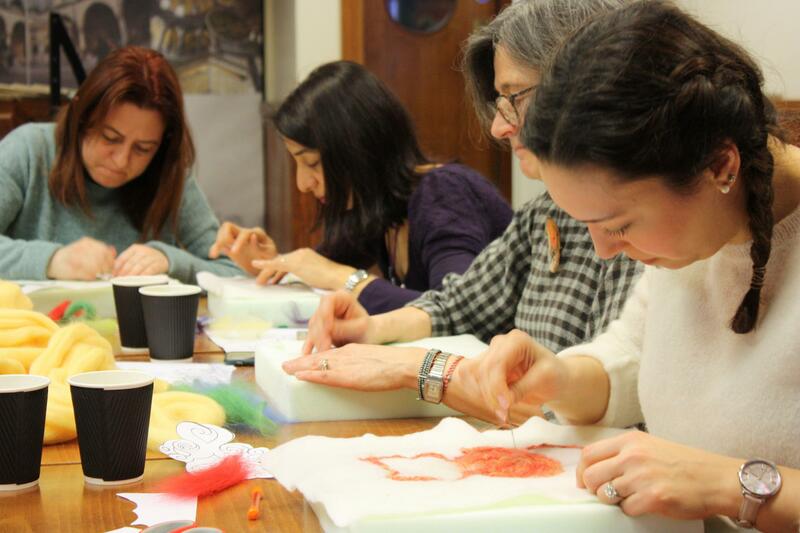 Since its establishement in 2010 this was marked as the first Needle Felting Course that has taken place at Yunus Emre Enstitusu London. 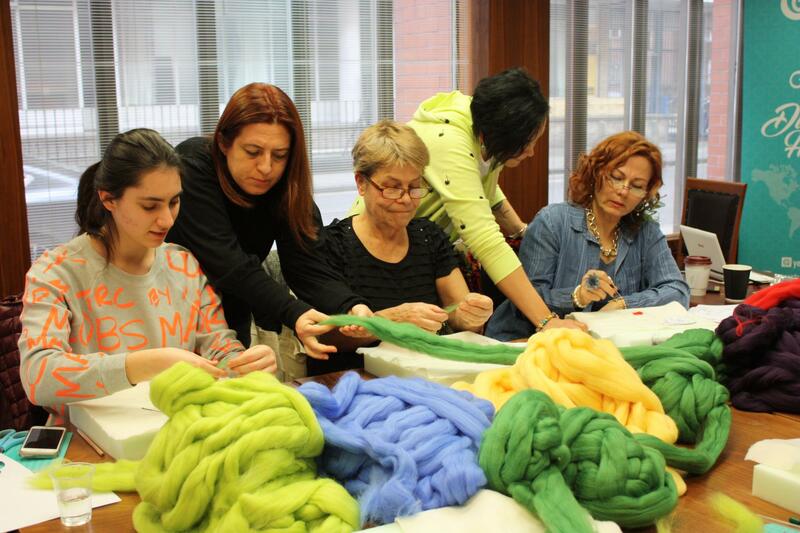 With an intense interest in the workshop, the participants had an introduction on how it works and made their first felt works under the supervision of experts and in the technical framework shown. 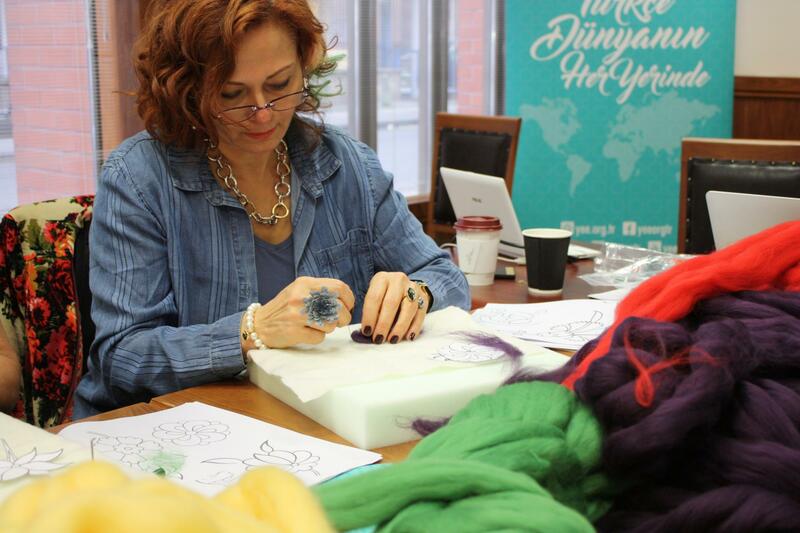 With an ever increasing variety of courses such as ney, calligraphy, oud, illumination and ceramics Yunus Emre Enstitusu is proud to announce their involvement in London Craft Week between the 9th and 13th of May. 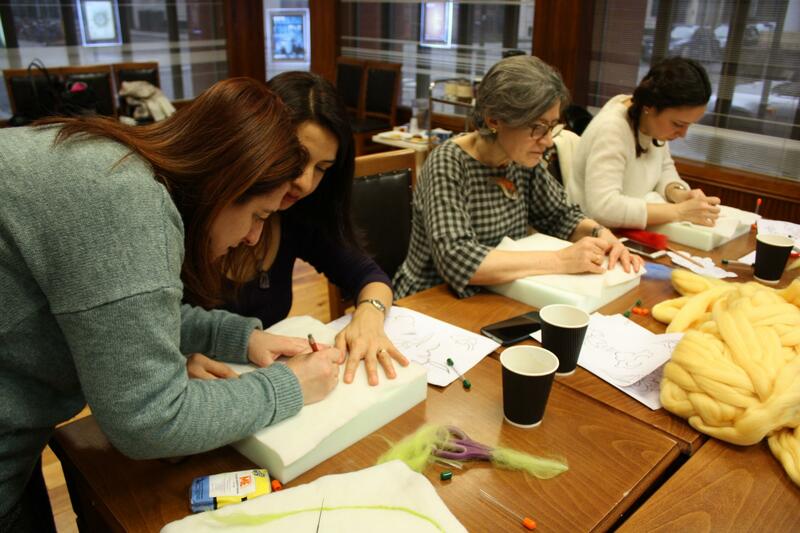 The institute, with the collaboration of Sabanci Technical Institute, will be running iznik, ceramics and ebru workshops as well as another one for needle felting.